The Eugene Emeralds broke out of a skid in August 1989 and they did it with the help of John Gilcrist. Gilcrist helped out by going 3 for 4, scoring twice. He and his teammates also helped out in other ways, he told The Eugene Register-Guard afterward. "We've tried everything," Gilcrist told The Register-Guard. "Rally cuts in our hair and everything." Whatever he tried, Gilcrist couldn't get himself a long career. That season was his second as a pro. He got just two more. He also never made AA. 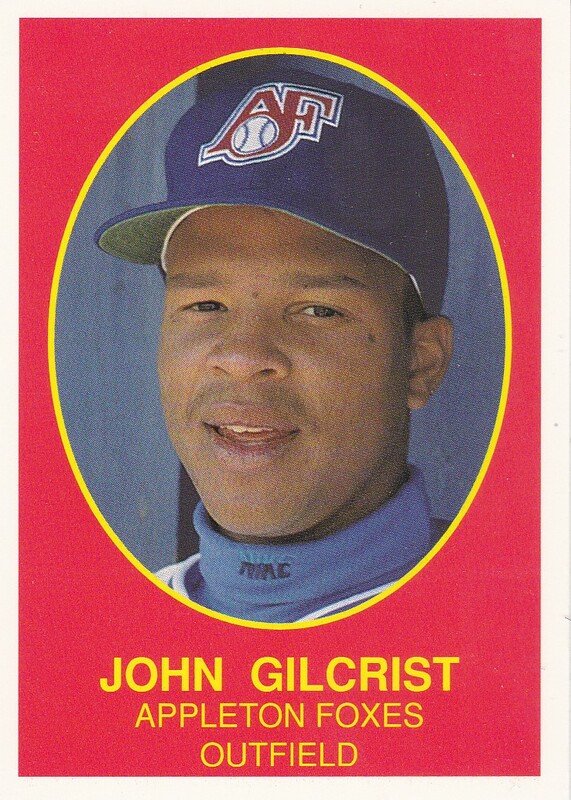 Gilcrist's career began in 1988, taken by the Royals in the 30th round of the draft out of Indian River Community College in Florida. .193 in 38 games, with no home runs. He went 1 for 3 in an August game, with an RBI. In the final game of the 1988 season, Gilcrist went 2 for 3, including a ninth-inning single that set up the game-winner. Gilcrist returned to Eugene for 1989. In 59 games there, he upped his average to .259 and hit three home runs. He also earned his way to single-A Appleton for 1990. At Appleton, Gilcrist hit .252 and knocked in 60 over 129 games. In July, he hit one of his five home runs on the year, a grand slam. 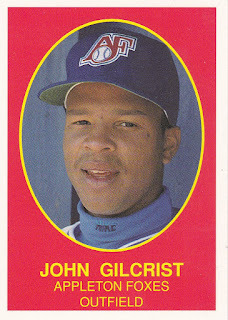 Gilcrist moved to high-A Baseball City for 1991. He went 2 for 5, with three RBI in a July game. Overall, he hit .242, with four home runs. It was his final year as a pro.